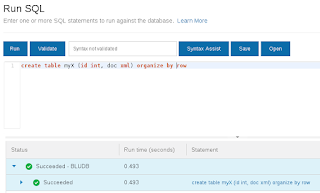 I recently wrote about managing IBM Watson dialogs from the command line and that I wanted to bring database records into a dialog, combining different IBM Bluemix services. 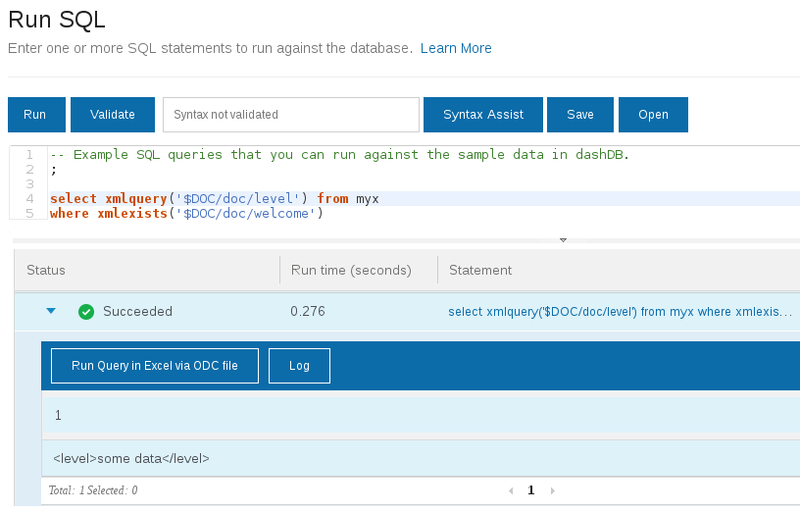 I succeeded and here is the follow-up on how I perform dialog-driven lookups in dashDB / DB2 and update the conversation for Watson to return user-specific answers. The application is written in Python and available on GitHub again and builds on the experience and code from the watson-dialog-client I published earlier. 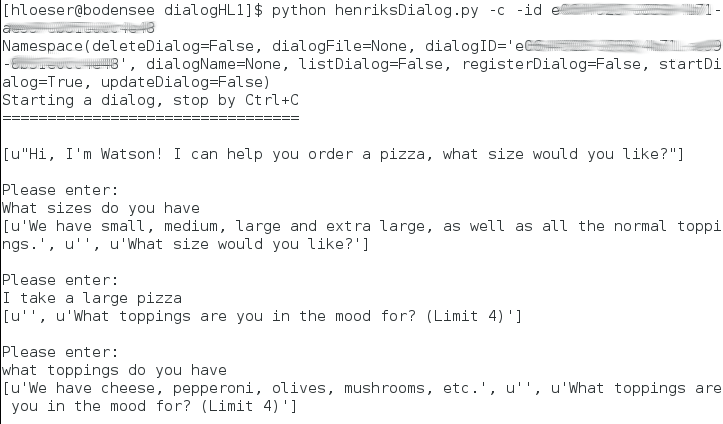 The user interacts with the Python app which basically is a loop, waiting for the user to end the dialog. 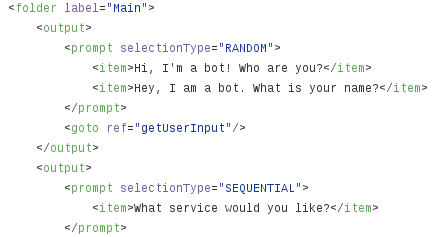 The script uses the dialog API to send the user input and obtain a response from Watson. It also checks the dialog profile variables to determine whether there are changes or any variable of interest is set. Depending on state information obtained from the profile variables dashDB is queried. Database results are either directly returned to the user or are used to update the dialog profile. To demonstrate (read: experiment with) data-driven dialogs I created a simple table "dialogdata" in dashDB and populated it with few records. The dialog prompts the user for the name. When entered it is used to look up the corresponding database record which then is fed into the dialog variables. As an example the dialog allows to ask for the birthday or age. The answer is composed of a template with the user-related information filled in. Another example for combining dialog and database is to enter a service name, i.e., to request an action. This is detected by the Python script again by checking the profile variables. Then, dashDB is queried and the result is directly returned to the user. 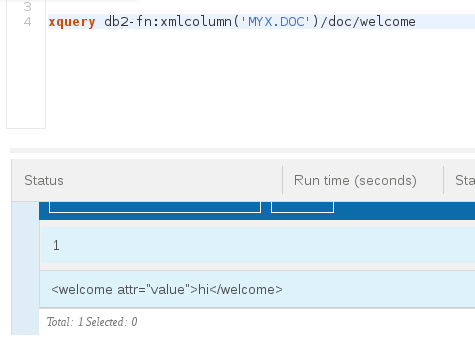 This way it would be possible to code up a dialog-driven database client ("Ok DB2" :). As mentioned above, the code for the combination of dialog and database is available on GitHub along with some instructions. The README contains the output from a sample dialog including lots of debugging information which should help you understanding the data-driven dialog. 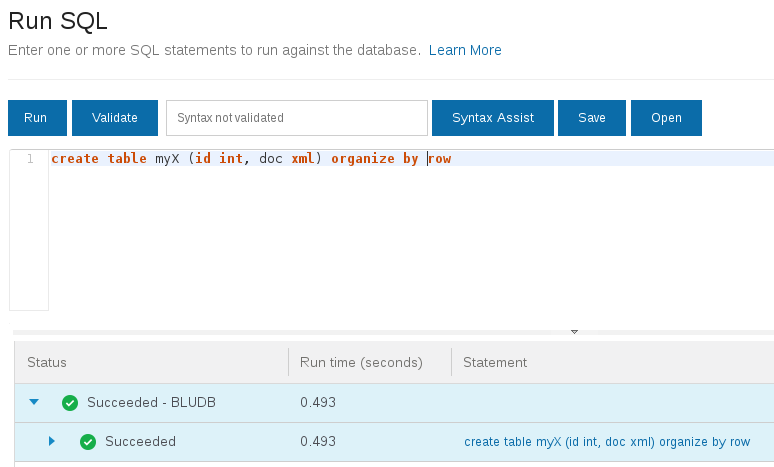 Right now I am working on a side project to hook up the Watson Dialog Service on Bluemix with dashDB and DB2. 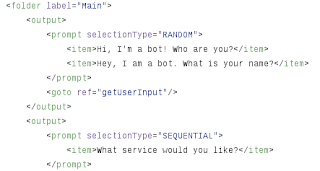 The idea is to dynamically feed data from DB2 into a conversation bot. To register and manage dialogs with the Watson Dialog Service, there is a web-based dialog tool available. But there is also a dialog API and a Python SDK for the Watson services available. So why not manage the dialogs from the command line...? Here is a small overview of my Python client that helps to register, update, delete and list dialogs and that can even drive a dialog (converse with Watson) from the shell window on your machine. 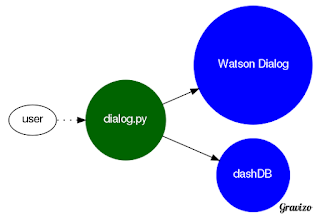 The code and for now some short documentation is available on GitHub as watson-dialog-client. 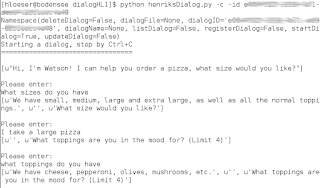 "henriksDialog -r -dn dialogName -f definitionFile"
"henriksDialog -u -id dialogID -f definitionFile"
Sample invocations and their output is available in the GitHub repository for this dialog tool. Let me know if something is missing or you had success chatting with Watson from the command line.